Kwikset’s signature smart lock is a bit tricky to work with, and comes at a price. 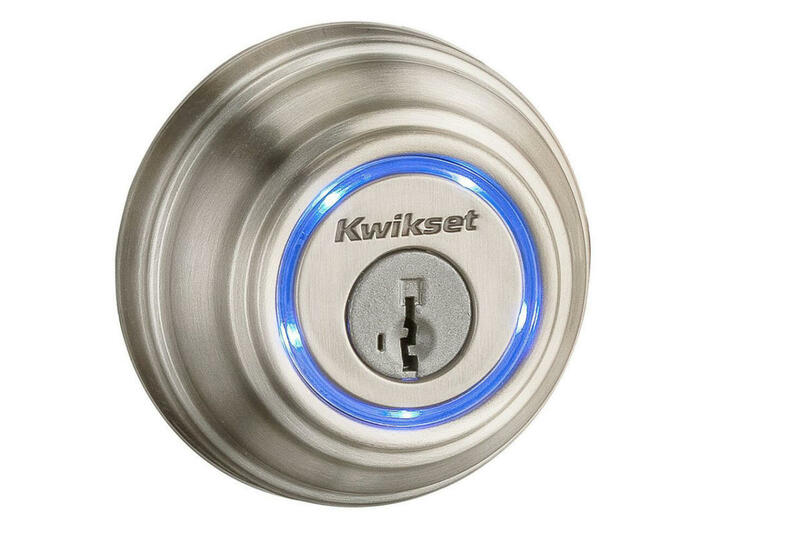 Kwikset’s Kevo, with its blue ring of light around the exterior keyhole, certainly screams “this way to the smart home.” If you can wrangle your way through a comparatively complex setup, it might be worth your time. 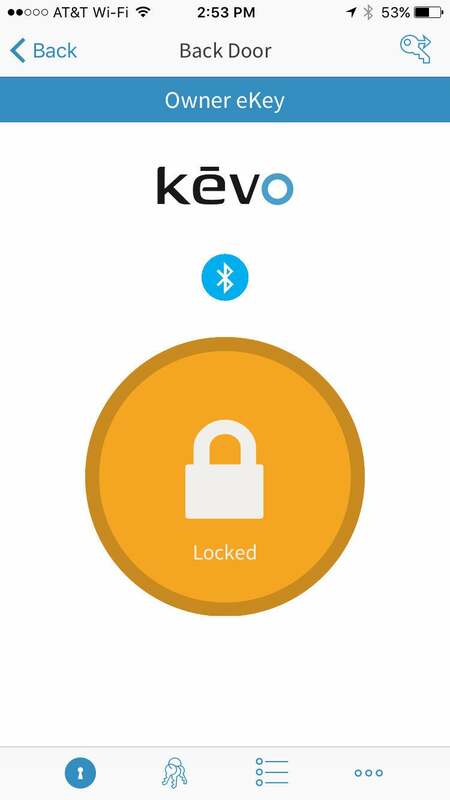 The Kevo, now in its second generation, helpfully walks you through hardware installation with a step by step guide built into the app. If you pay very close attention to these instructions (some of the animations are quite small), the lock can be installed with only moderate trouble. I got the lock set up and running in about 25 minutes, though that included experience gained from working with other locks. 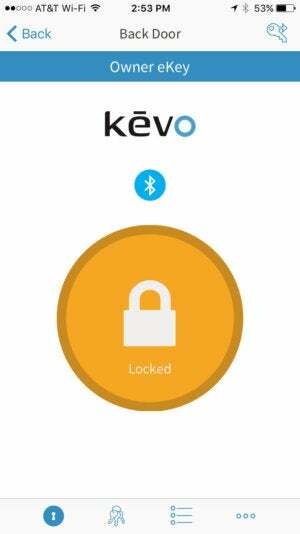 The Kevo app does a pretty good job of walking you through the installation process. The big selling point of the Kevo is its “touch to open” technology. A ring around the external keyhole—which can still be used normally with the included keys, and can be rekeyed as desired—can be simply touched to unlock the door. This is a bit misleading, of course: The touch-sensitive ring doesn’t use biometrics or some other fancy trick to identify you; it simply tells the lock to poll your phone via Bluetooth to see if you have a valid key installed. (Speaking of which, earlier this year, Kwikset wisely decided to suspend its prior practice of selling extra e-keys at a cost of $1.99 each. Additional e-keys are now free.) Sending keys is simple, though they are tied to an email address, not a phone number, which some users might prefer. Like the August Smart Lock, the Kwikset Kevo only works via Bluetooth, so it isn’t immediately able to become part of your smart home network. You can extend its functionality through a $100 gizmo called Kevo Plus (not reviewed here) which connects to your router via an ethernet cable, giving you remote access features and Alexa compatibility. Out of the box, the Kevo does support IFTTT, but the recipes are a bit limited in scope. You can set up a recipe to send you an email if the door is unlocked, for example, but this only works if the door is unlocked through the app, not with a physical key or via the manual deadbolt. The good news is that the Kevo works more often than not, and though it sometimes stutters on commands, it is fairly reliable and, from a physical standpoint, pretty tough (older models could be smashed open with a screwdriver and hammer). That said, parts are fairly archaic—such as the use of old school DIP switches in the mechanism to set things like automatic door locking and turning off audible beep—which inspires somewhat less confidence. A capable, if expensive, way to upgrade your front door.